Working at home has tons of advantages, especially if you’re like me who doesn’t like going out much. While we may not literally wear pajamas while working, not having to always dress up is awesome in my book. There’s also the added advantage of a one-minute commute to work (depending on how far your “office” is from the bedroom). But there is something to be said about a coworking space. A formal definition from Whatiscoworking.com: “coworking” or “co-working,” with a lower-case ‘c’, is a generic word that’s generally used to describe any situation in which two or more people are working in the same place together, but not for the same company. In essence, you go to a building or office space to do your work with other people around you, whom you may or may not know. These people may be freelancers like you, or they can be people working for the same company renting out a room for a certain period. With coworking spaces sprouting up all around the country – here’s a list of the top 100 coworking spaces in the US – you may want to consider coworking now and then. It’s less risky than renting an external office space. Some remote workers rent a small room in a commercial building so they have somewhere to go to when they want to get out of the home office. This can be a risky move – financial issues (rent) and legal issues (contracts and safety) being the foremost concerns. It hones your time management skills. You pay to spend time at the coworking space. That gives you an incentive to make the most of that time. One result is that you manage your time better. You focus more on your tasks. It gives you some social interaction. With other people around you, social interaction is inevitable. While some may see this as a negative (and indeed, it can be if there’s too much interaction that it takes away from your focus), we’ve already covered the topic of needing at least a bit of face-to-face interaction. It offers the opportunity to learn from others. Along with social interaction comes the benefit of learning from others. 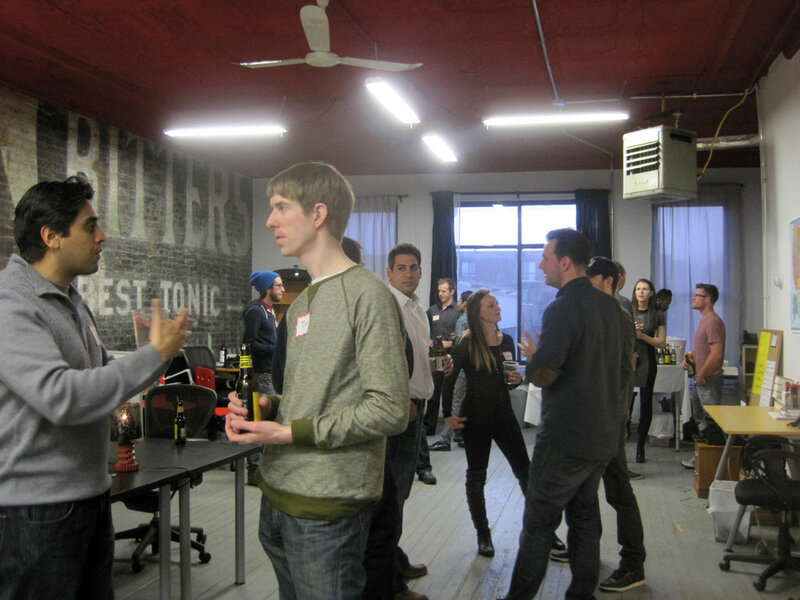 The chances are you’ll meet other freelancers from whom you can learn new ideas and practices. It provides chances to meet new clients. Freelance writers are not the only ones who use coworking spaces. You may meet designers, startup founders, and other professionals who may be in need of a writer. It can be noisy. Depending on the setup of the coworking space, the area may be noisy, thus taking away from your focus. It is not conducive to phone or Skype calls. Whether the space is noisy or not, an open coworking environment is not conducive to calls, and if you have to engage in calls with clients a lot, then this is a huge negative. It is an extra expense. It’s the stark reality – using a coworking space costs money. Some charge monthly, others charge per day. There are also others that offer both options. If you’re not in a financial position to spend extra for a coworking space but you want to work elsewhere, you’re better off at your local coffee shop. It offers less privacy. Open space. People all around you. Definitely less privacy. Have you tried out a coworking space? Are you using one now? Why not share your experiences?